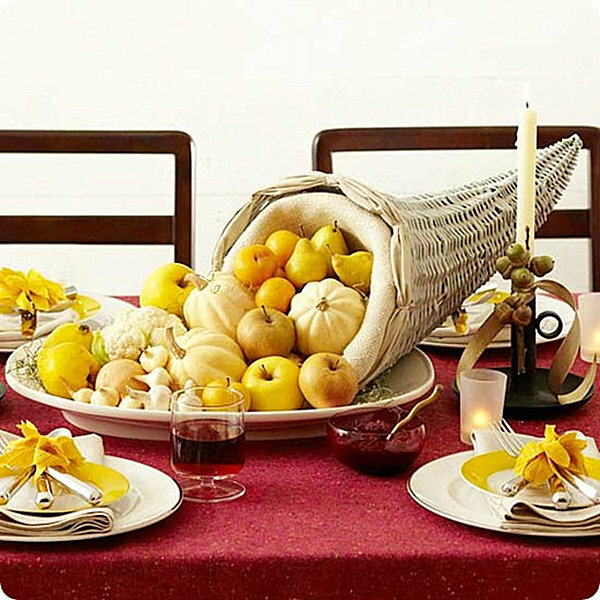 It’s that time of the year again… Thanksgiving is around the corner, and soon your tabletop will be full of delicious food and eye-catching decor! 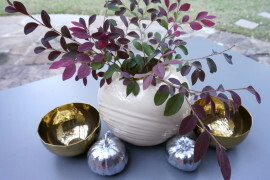 How will you decorate for the season? 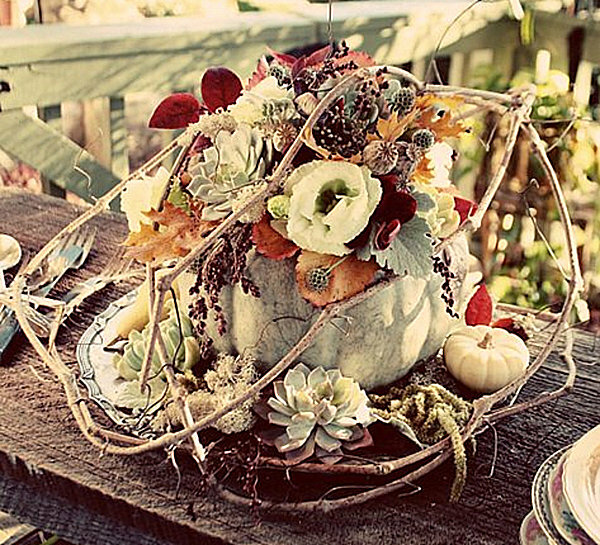 Today we feature 20 Thanksgiving centerpiece ideas to get your creativity flowing. 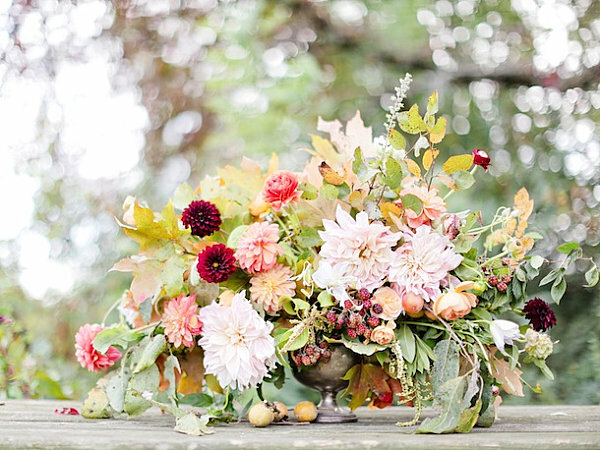 Should you go traditional with a formal floral arrangement? 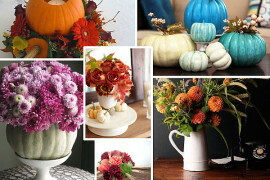 Are pumpkins essential? 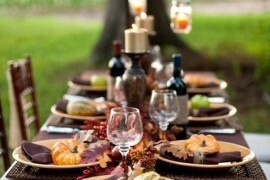 Is it better to have a spread of items rather than one large piece? 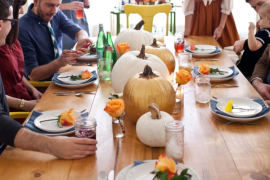 When it comes to Thanksgiving centerpieces, follow this one hard-and-fast rule: there are no rules! 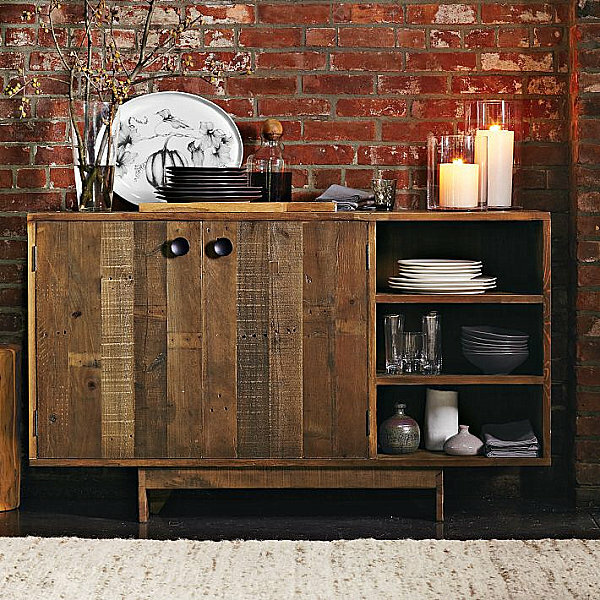 That’s right–thinking outside of the box is allowed. 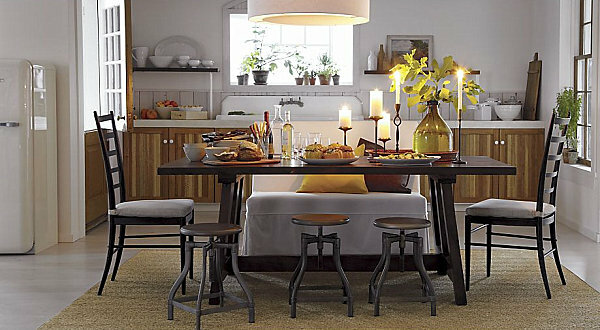 Below we feature a variety of possibilities, from the elegant and refined to the delightfully unexpected. 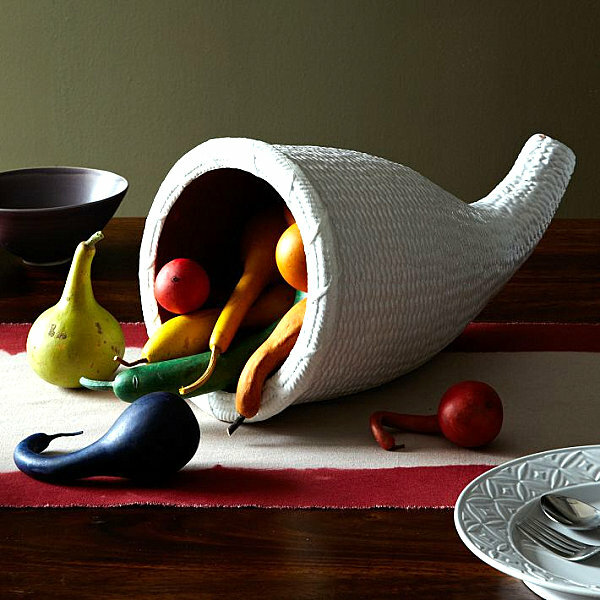 Which centerpiece best fits your style of entertaining? 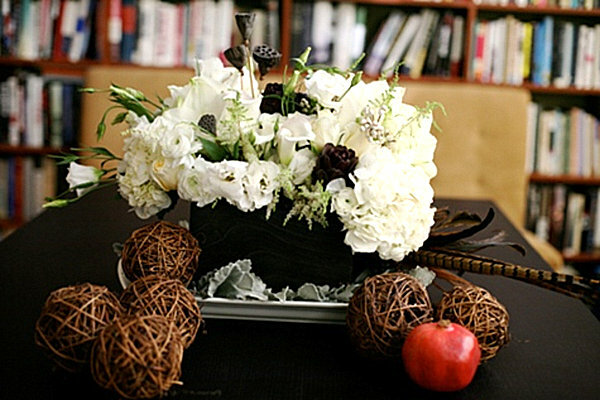 The next image features a striking arrangement of white blooms and eucalyptus pods. 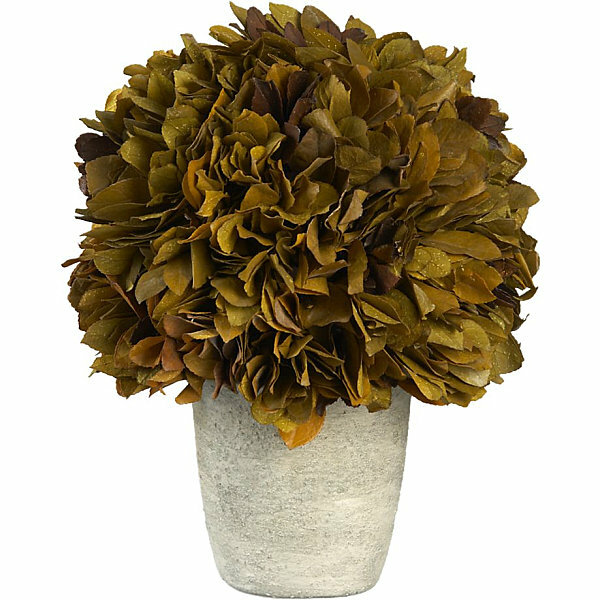 Light and dark, soft and wooden, blossom and branch–many contrasts create true centerpiece magic. 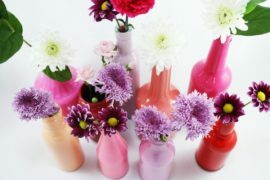 For a full tutorial, check out Design Sponge. 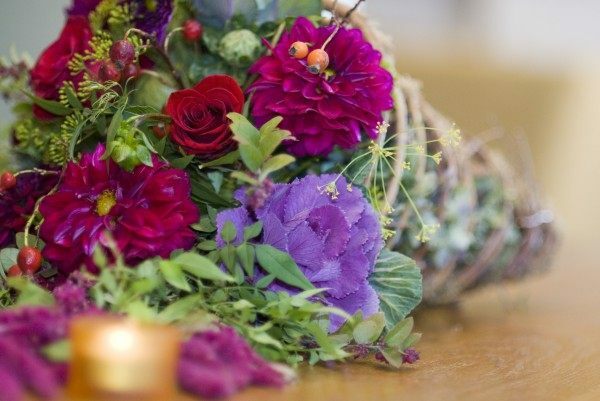 What better way to accentuate a vase of fresh blooms than with candles? 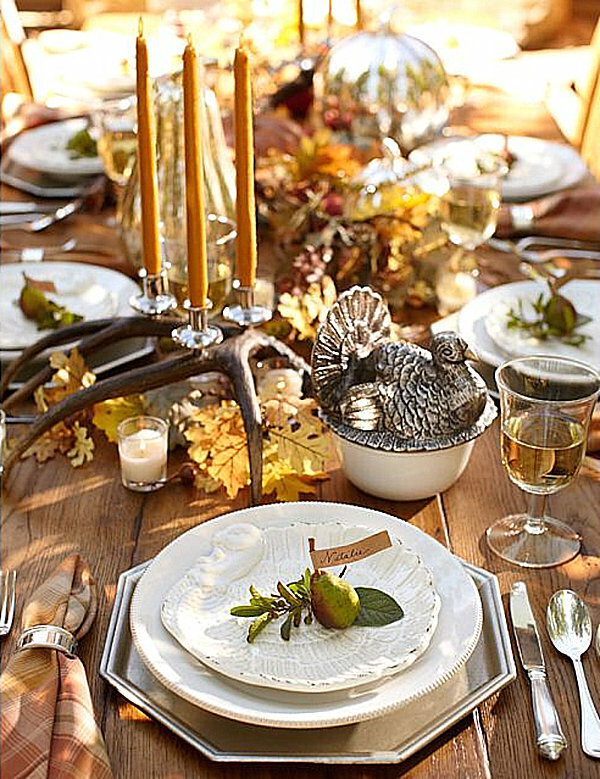 In the next image, we see sparkling votives and tall tapers, as well as natural elements like fresh produce. 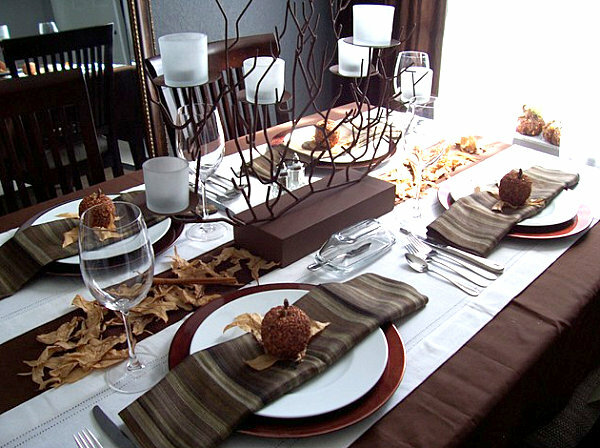 The result: a multidimensional arrangement that’s a feast for the eyes. 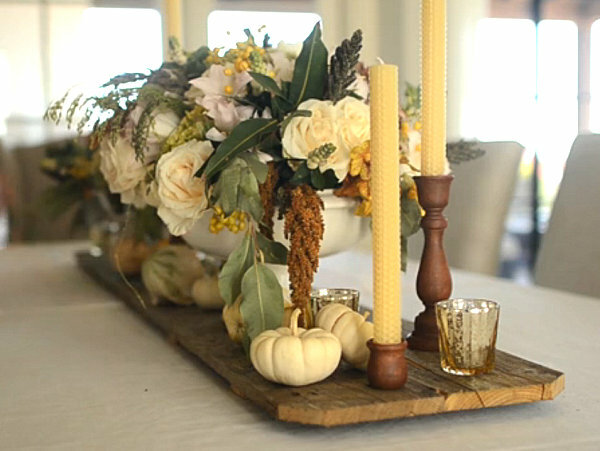 See all the details and more in this Thanksgiving-themed video from event planner Camille Styles. 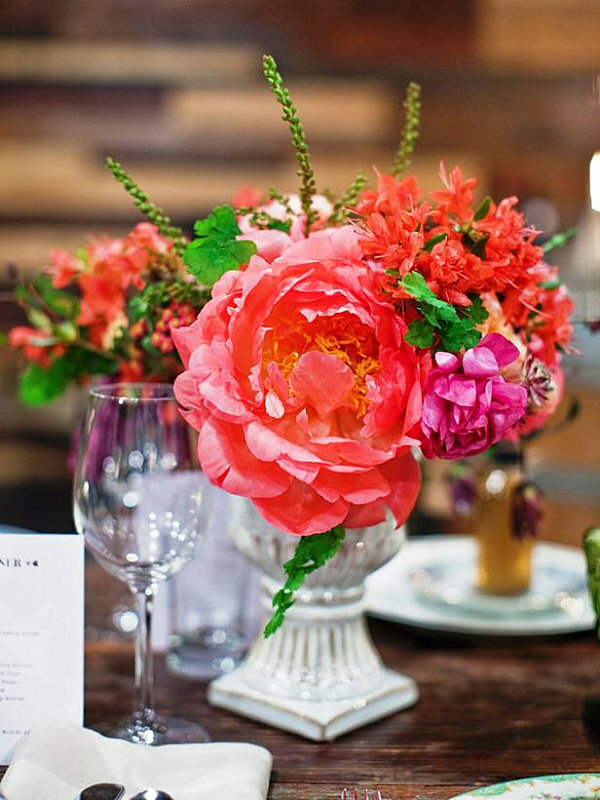 Elaborate centerpieces are stunning, but simple ones are equally powerful. 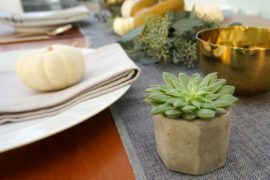 For example, greenery in a jug can be striking, especially when accompanied by candles of various heights. 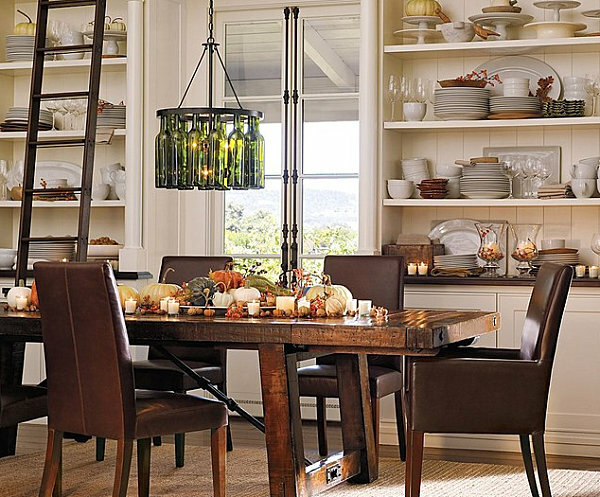 Below we see the bronze and antiqued brass Emery Pillar Candleholders from Crate & Barrel. 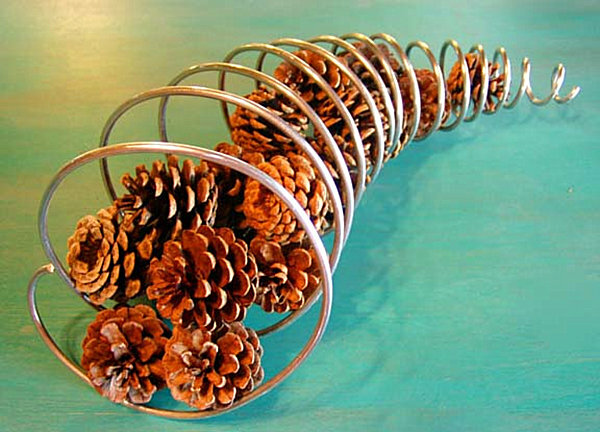 Another update idea? Go monchromatic! 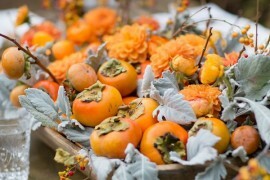 Instead of an autumn medley of colors, stick to citrus tones, such as yellow. 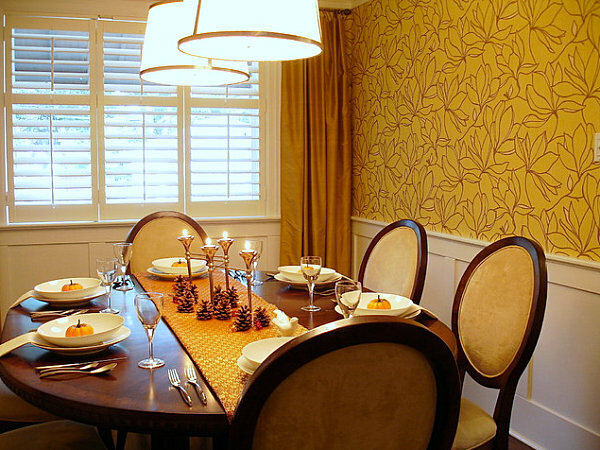 When combined with soft shades like grey and beige, the result is bright and refreshing. 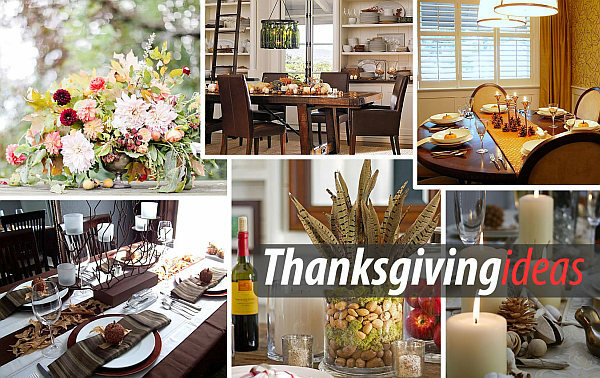 For more details, check out Better Homes and Gardens. 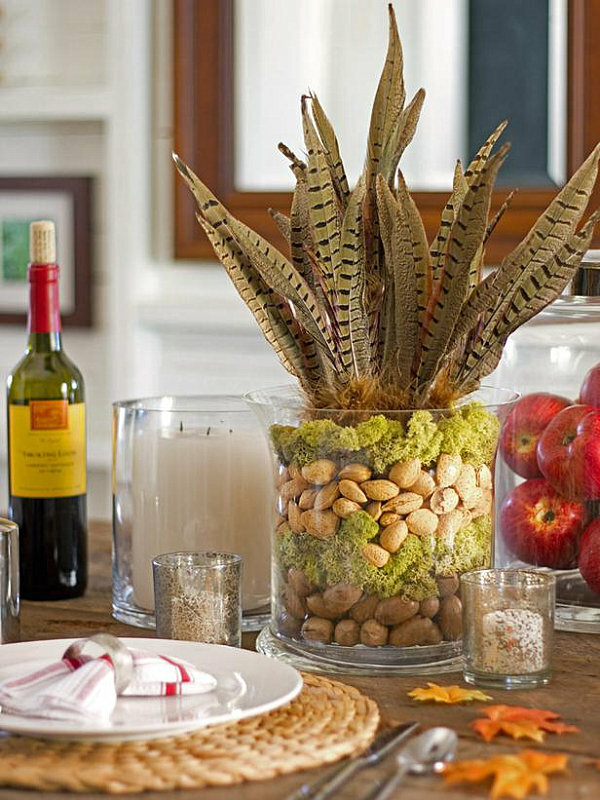 Don’t be afraid to combine your favorite elements from the centerpieces above. 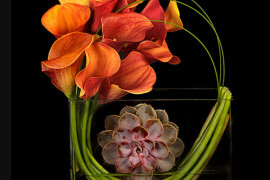 Do you like the feathers from one arrangement and the vase from another image? 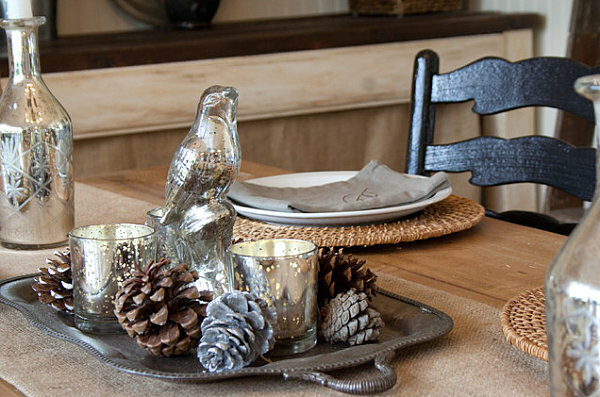 Mix and match to get a vignette that is right for your table. 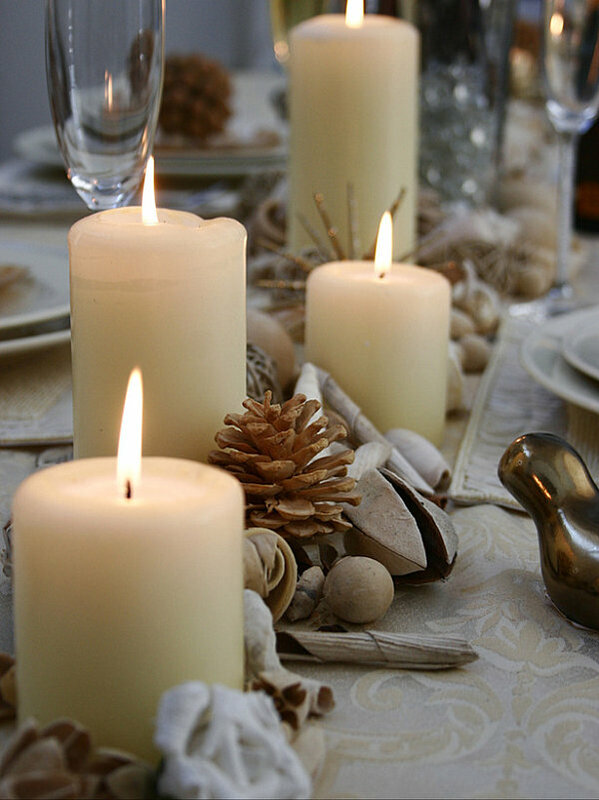 Don’t hesitate to add those special touches like votive candles and fresh produce. 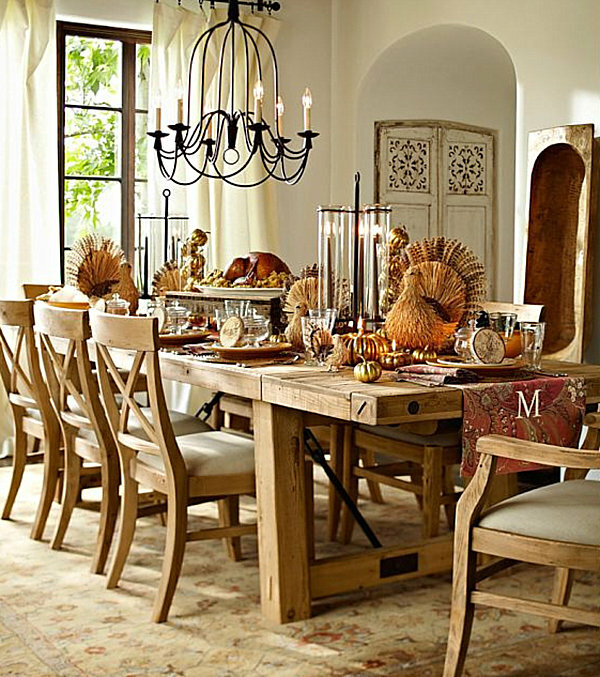 Most importantly, have fun arranging your Thanksgiving table!